YMAF strives to provide scholarships! But what about the disadvantaged children within our communities? Unfortunately, many of them will never have the opportunity to benefit from the participation and education of martial arts, due to the household’s extremely low income status. This is why YMAF is teaming up with the community to provide these children an alternative to complacency, drugs, gangs, crime, obesity, poor health and undisciplined behavior through our martial arts and fitness scholarship programs. We strongly believe that such programs will greatly benefit young individuals, and in turn greatly benefit the many communities within Los Angeles and surrounding cities. It is important to remember that the children of today are society’s hope for the future. Your contribution to a child’s life today can potentially assure that the child will give back to the community in his or her future. We provide children an opportunity to benefit and excel in structured martial arts through our Scholarship Program, which is made possible with kind contributions by the public. YMAF provides the funds necessary to cover the child’s training tuition, uniform and grading fees. A complete list of schools in your area can be found under the search directory. Full Scholarship: We cover 100% of the child's tuition, uniform and grading fees. Scholarships are issued in six (6) month increments. A recipient may request a renewal upon the expiration of the scholarship funds. Partial Scholarship: We cover 50% of the child's tuition, uniform and grading fees. This program requires parent/guardian financial participation. A recipient may request a renewal upon the expiration of the scholarship funds. Start your martial arts program! Attend a 45 minute orientation. Maintain reasonable attendance in the selected training program. Reply to YMAF correspondence regarding the child's attendance, growth and development within the selected training program. Notify YMAF if household income changes. Notify YMAF if contact information changes. Notify YMAF if the child has dropped out of a funded program. Notify YMAF if you should have any problems or disputes with the training facility. 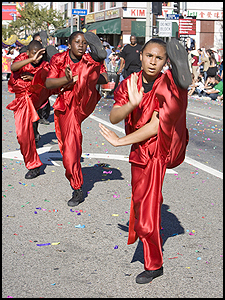 Provide YMAF with a copy of the martial arts training contract, if requested.